NHS England unveiled two new bespoke pricing deals with pharma companies yesterday, underlining its growing direct engagement with the industry. 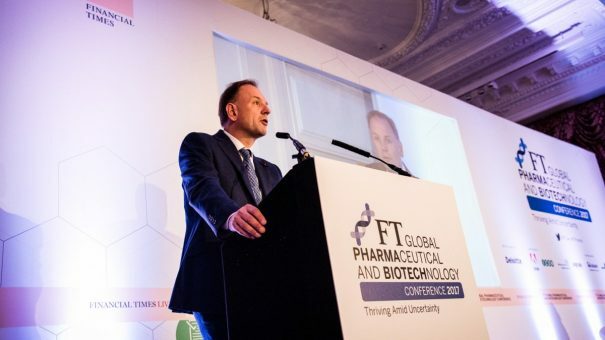 Chief executive Simon Stephens personally announced the two deals to an international pharmaceutical audience at the FT Global Pharma and Biotech conference in London – and confirmed that such ‘commercial access agreements’ will become a permanent part of the UK pharma market. The deal comes against a backdrop of a growing financial crisis in the NHS, with Stevens making his most direct call yet to the government for more funding for the health service, as local providers increasingly miss waiting targets, ration services and medicines. Stevens noted that drug prices were rising faster than wider NHS costs, and said that for a ‘wide variety of reasons’ the health service didn’t always get the ‘best value’ from medicines. One reason for this is that the existing PPRS pricing agreement doesn’t allow for outcomes-based deals. The first deal sees NHS England (NHSE) finally resolve a long-running impasse over Roche’s breast cancer drug Perjeta. Repeatedly rejected by NICE, the drug has only been available via the old Cancer Drugs Fund, but the new price agreement means the drug will be available through standard routes. The second deal is with German pharma company Merck for its multiple sclerosis drug Mavenclad (cladribine), and involves a new outcomes-based pricing agreement. Simon Stevens hailed the Merck agreement, saying: ‘I think it is a precedent setting deal, in as much as it includes shared risk in what we hope are going to be very strong outcomes. And it means we are the second fasted country in the world in making this medicine available, after Germany. “That is the kind of process we would like to see more of,” he concluded, saying the negotiations allowed “more flexible and creative deals” to be struck. Key to this process is its confidentiality: the deals have been struck behind closed doors between the companies and NHS England. While the resulting prices aren’t in the public domain, it is clear that NHS England will have extracted substantial discounts from companies in order to guarantee access to England’s market. 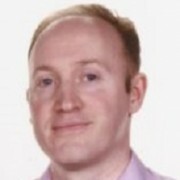 NHS England is making the deals via its Commercial Development Unit, though Stephens signaled that it would still rely on the NICE appraisal system and the overarching PPRS pricing agreement to provide the pricing and access structure for most medicines. The commercial agreement follows NICE’s recent final recommendation for the drug in treating highly active MS in adults. Use of Mavenclad is recommended only if a person has rapidly evolving severe relapsing–remitting multiple sclerosis. Mavenclad’s list price is £2,047.24 per 10mg tablet – a high price, but one that NHS England will have secured a discount on. In addition the outcomes-based agreement will mean the health service will only have to pay for medicines in those patients who respond. The new deal will help Merck take on established drugs on the market, such as Novartis’ Gilenya. 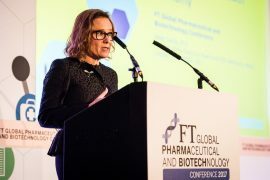 Also speaking at the FT event was Merck’s CEO Healthcare, Belén Garijo, who hailed the deal as a breakthrough. “This may become the norm, and not the exception to celebrate,” she commented, agreeing that new ways of paying for innovation were needed. “This is a goal we have to realise with many healthcare system,” she added, saying that pharma needed embrace new technology which would enable it to generate real world data. While details remain scant, the Mavenclad deal will depend on outcomes data being generated by the NHS, something which it has struggled to do so far because of a lack of data collection and IT infrastructure. Simon Stevens conceded that the advantage of the NHS’ unified system hadn’t been fully exploited for its access to national data. He says NHS England is now following up on recommendations in the Life Sciences Industrial Strategy document to create digital data hubs across the country, and will commit to bring them on-stream within 12-18 months. This news will undoubtedly hearten the UK pharmaceutical industry, which was up in arms about the NICE/NHS England’s cost-controlling Budget Impact Test, introduced in April this year. This see drugs which would costing more than £20 million in their first three years on the market triggering a cost negotiation. It looks likely these and other high cost medicines will be intercepted by NHS England so that market access deals can be struck.